Since 1925, Tomahawk has been manufacturing high quality, easy-to-use traps for hunters and outdoorsmen with a wide variety of interests, including snake tongs and hooks, cat graspers, paste baits, bird and animal nets, animal control poles, fish and turtle traps, telescoping syringe poles, odor eliminators, and more. Tomahawk also sells dog leashes and muzzles, as well as cat accessories. Constructed from 12-gauge galvanized wire mesh. 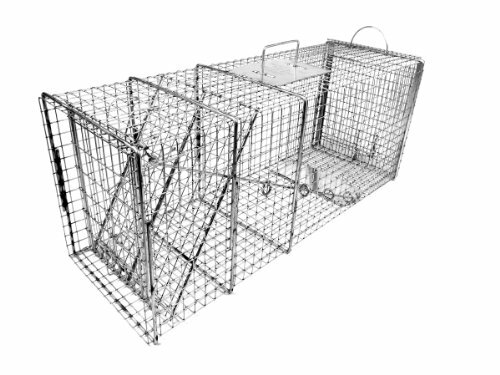 Trap for large woodchucks and similar sized animals. Handle at the top for comfortable and safe holding. Features an easy release sliding rear door. Available in various sizes.